Last year was the first year in which a number of schools in the Gauteng area in South Africa began a year without books, pens, pencils and exam pads. Instead, children would work off wireless, mobile tablets, facilitating the inauguration of the first smart schools in the country. Access to all educational content is made available via school-wide wifi coverage, and children are taught all subjects through their mobile devices. 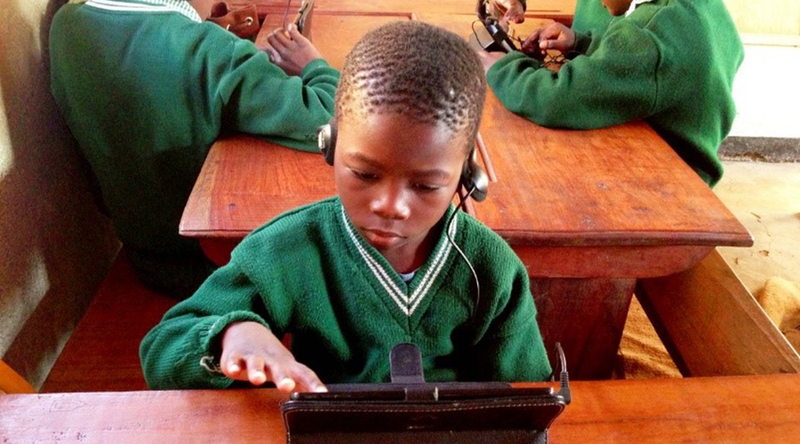 This much-needed change helps to satisfy the need for technology in South African schools. South Africa needs to step-up the technological migration if they hope to contend with the educational systems of other developing/BRICS countries. Additionally, the migration will also give poorer students access to technology, use of which will give them crucial insight into the use and application of modern technological devices. This will help open the door for school students who need access to these kinds of resources if they intend on studying in further fields of Information Technology once finished with their schooling years. Other subjects will benefit from the mobile integration in the classroom, particularly in subjects like Mathematics and Science. These two subjects weigh heavily on the ability of students to study subjects like Engineering, IT and Medicine in university, qualified skills that are severely lacking in South Africa. Because there are so few Maths and Science teachers in Africa able to teach these important subjects to Primary and High School students, the ability to access the internet from within classrooms gives students access to a wealth of knowledge in these subjects, assisting them in passing even if there are teacher shortages. To instil further impetus in the studying of subjects like Maths, Science and IT, corporates that work in the field, and suffer most from the shortages, have to ensure that schools are properly outfitted with the skills and resources necessary. If businesses contribute to government drives that encourage students in these fields, they will ensure that more students enter universities equipped to study advanced and technical subjects. If you intend on studying a Research degree in the fields of IT and Engineering, then make sure you contact VUT-Research as soon as possible. Alternatively, take a look at our ‘How To Apply’ page.